What’s the future of Bristol’s food and drink scene? Recently, there was an interesting article published on the Bristol24/7 website: an article that asked the question, “Is Bristol’s restaurant bubble about to burst?” It’s a piece that’s led to much discussion on social media, with commenters offering a huge range of opinions about the current state of our city’s food scene, and an equally diverse selection of thoughts on whether the current proliferation of restaurants, street food vendors and more is likely to last. 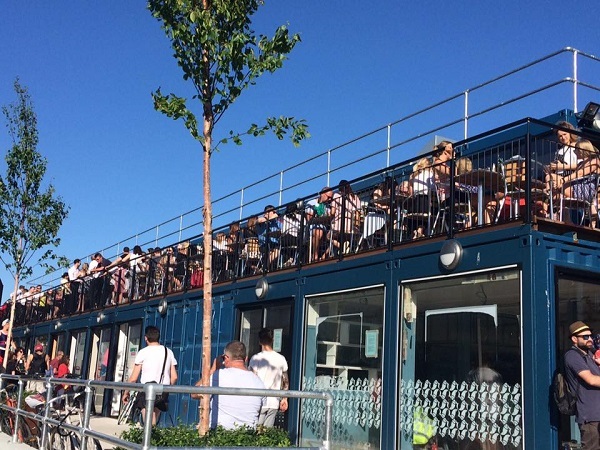 It’s true that recent months have seen a vast number of new openings, from the snug shipping container-based choices at Wapping Wharf’s Cargo 2 to the glitz and glamour of The Gold Bar at the Bristol Harbour Hotel. It’s also true that we’ve seen some high-profile closures recently, from Bagel Boy (and their pizza joint, Proven) to longstanding Italian restaurant Europa, the two Zazu’s Kitchen restaurants, tapas bar La Tomatina on Park Street and the short-lived Bangkok Joe’s in Redcliffe. I don’t agree, though, that there’s a “restaurant bubble” to burst in the first place. Ever since I first moved to Bristol in the summer of 2009, there’s been a proliferation of new food and drink venues opening each month – it’s the reason I started Bristol Bites in the first place. For years, we’ve seen places come and go – some incredibly short-lived, some still just as popular today as they were when they launched. Sure, as mentioned, there have been recent closures – but this is nothing new. Since Bites began, the number of restaurants that I’ve reviewed that no longer exist is ridiculous…The Muset, Three Coqs Brasserie, Goldbrick House, Clifton Kitchen, Restaurant Fifty, El Guapo…and that’s just from going through a handful of pages of my reviews since Bites began. I’m still lamenting the closure of Lebanese restaurant Sands several years ago too – it was definitely a favourite. The Bristol24/7 piece includes a quote claiming that Bristol’s restaurant scene suffers a lack of diversity, resulting in a “really beige food scene”. In all honesty, I’d describe Bristol’s culinary offering as anything but beige. Sure, we have a plethora of burger places, we’ve seen numerous BBQ restaurants opening, but we’ve got a great deal of choice when it comes to just about any type of food we want. We’ve got plenty of places doing things that are a bit different to the norm: the swing seats of the Playground Cafe, the art focus of Steak of the Art, the “all things crab” positioning of Carol’s Crab Kitchen, the street food traders turned bricks and mortar restaurants of Cargo and Cargo 2…there’s something for all occasions, and for all tastes. And it’s this “all tastes” point that I think is the most important to make. Not everyone enjoys fine dining. Not everyone enjoys tasting menus. Not everyone wants to eat at a Michelin-starred restaurant, and not everyone (I know, it’s shocking) cares about whether food is seasonal, foraged locally or grown by the restaurateurs themselves. In the past, I’ve been slated for reviewing chain restaurants, but you know what? There are people that enjoy eating at chain restaurants and choose to do so out of preference. With a chain restaurant, you generally know what you’re getting, and can be pretty sure that it’ll be the same type of food and same type of experience that you’ve had in a branch of that restaurant elsewhere. Plus, y’know, you’ll often find special offers and vouchers for chain restaurants, which – if you’re wanting to eat out for a special occasion but have a limited budget and want to be sure you end up somewhere you know you like – makes total sense. In 2016, Five Guys was named the most popular chain restaurant in the UK (you can see my review of the Bristol branch here), with Nando’s in second, GBK in third, KFC fourth and Burger King fifth. Five Guys now have a HUGE number of restaurants across the UK with more opening all the time – so they’re clearly doing something right. And the Bristol branch is always busy. The same goes for coffee shops. We have some amazing independents: Small St Espresso and Little Victories, Full Court Press, Playground and more…but I’m not ashamed to admit that sometimes I just want a bucket-sized skinny latte with a shot of syrup, and points on my Caffe Nero loyalty card so I can get a freebie before payday comes around. I’m sure I’m not the only one. Chain restaurants, with their massive marketing budgets, are never going to go away. So how can Bristol’s independent restaurants compete? For a restaurant to succeed, it needs to get the basics right: creating an offering that the public actually wants, finding the right space in the right location, getting the food, service and environment spot on – and knowing how to run a business. It’s all of these things combined that make or break any business – not just those in the food and drink industry. If there’s no public demand for a restaurant like Hooters, it won’t last – and it didn’t. If a restaurant opens in an area of Bristol that doesn’t attract its target market or just doesn’t sit right, you’ll end up with something like MEATliquor: the Bristol branch of the burgers and dogs joint never seems as busy as its London counterparts – and its Stokes Croft location could well be a factor. I know restaurateurs often lament the staffing crisis, but good service can often be hard to find – and if I’m greeted by rude or sullen waiting staff, then it doesn’t matter how good the food is, I probably won’t go back (The Pump House is a prime example). And getting the food right is obviously important – as well as having the balls to make changes to the initial offering if things just aren’t working out. It was the bashing of PR firms and influencers that riled me in the Bristol24/7 piece – and plenty of others too. PR is vital to the initial success of any new restaurant: if the offering’s right, as mentioned above, then getting a boost at the start of trading will encourage those first customers in, who’ll then spread the love via word of mouth. Some Bristol restaurants are amazing at social media and targeting influencers – others realise that it’s not their forte, and get the professionals in. But with the article claiming that PR firms are all about the money, give clients exactly the same coverage and aren’t qualified to understand what good food is, a lot of those in the industry are understandably riled. “Those comments about food PRs not knowing good food or good chefs and just exploiting the scene for their own financial gain is ridiculous”, says one food PR. “If he knew how many times we drop our rates to accommodate a tiny budget just to help somewhere out, he’d eat his words. And I totally agree. Bloggers get a LOT of stick: according to many, we’re all about the freebies, and gushingly positive reviews in return for an invite to a launch event or a complimentary three-course meal. It’s exactly why I wrote this article on LinkedIn a few years back. I’m not going to deny that there are some bloggers who are like this – but for the most part, Bristol’s bloggers are great at saying exactly what they think. The key for any new restaurant – whether they hire a PR firm or not – is to get the basics right before inviting influencers in. An example of how things can go wrong could be seen in the launch event for The Smoke Haus in March 2017. It was an evening that saw a huge number of Bristol’s bloggers flock to the restaurant for a free meal to test out their wares…but with reports of “processed cheese and over-done meat” from one and a steak “so well done there was barely any taste left” from another (as well as talk of raw chicken on social media), this was a demonstration of what can happen if the basics just aren’t there. But you know what? Head to TripAdvisor and you’ll find a mixed bag of reviews, from very positive to very negative. To me, it proves two things: that food can be very different depending on when you visit, and that food is totally subjective. To me, the concept of a “restaurant bubble” in Bristol is ridiculous. I’m pretty sure that food and drink venues are opening at pretty much the same rate as always – and that they’re closing at the same rate too. With heightened PR activity around new launches compared with several years ago, it may seem like things have changed, but it’s not the case. 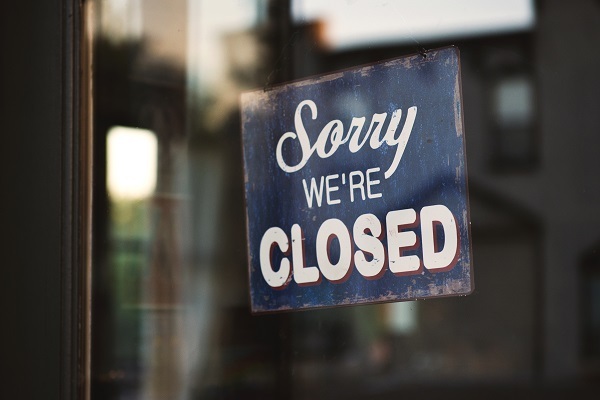 A decent restaurant will always have customers – a poorly executed brand, or one that still continues to stick to its guns even in a decline – will most likely close. What’s important is that anyone opening a new food or drink business nails its concept (but isn’t scared to take a different tack if needed), chooses its location wisely, stands out from its competition and serves damn good food with damn good service to match. It’s not about a bubble bursting – it’s about the food and drink scene evolving. The whole Wapping Wharf complex may still be pretty new – and it remains to be seen how those businesses will do during the winter months – but it’s an incredibly popular part of town. For me, this isn’t just to do with its newness: it’s the fact that it’s a proper foodie hub. It’s a place where, for the most part, bookings aren’t taken, so people head on down to sample something new – if the restaurant they originally planned to visit is busy, they either sit and enjoy a drink while they wait, or try one of the many other restaurants on offer. There are always going to be people who enjoy fine dining, those who prefer to eat at chains, those who would rather spend their money at more casual independent restaurants. And that’s the beauty of the world of food and drink: it’s about what YOU choose to eat, as an individual – what YOU enjoy, what YOU want to spend your money on. And if there’s not enough of you to sustain a restaurant, it’ll close. The onus is on the restaurateurs to get it right, to have a realistic business plan, and to evolve when needed to avoid being one of the next big closures. Rant over. 2 Responses to What’s the future of Bristol’s food and drink scene? A fantastic article and a fair one. Agree with all of the comments made and I’m glad someone has spoken up in response to that Bristol Post article in a mature yet, though provoking manner. I also think its about the whole experience, not just the food. Obviously I am pro local, organic etc, but understand that not everyone is (though I can’t condone your choice of cafe nero – we do loyalty cards too!! ), and that there should be an even spread of choices. However I do think there is a restaurant bubble here in Bristol, unlike any other city that I am aware of, except maybe the east end of London which is practically a city in its own right. As owner of two cafes I am obviously not qualified to be objective but there are more food outlets here than any other kind of retail or leisure outlets as far as I can tell. Eating is the only leisure activity that seems to be available if you don’t want to trawl Cabot Circus for clothes. It seems a bit skewed to me, and encourages that FOMO (fear of missing out) phenomenon that seems to have gripped the world since facebook landed. I’d like to see more food businesses mix it up a little, get some live music in there, art, books, talks – things where the food is included but its not necessarily all about the food. These are things we try and do at The Folk House Cafe and Spike Island Cafe, and will carry on doing – getting all the senses going not just Pavlov’s dog drooling!